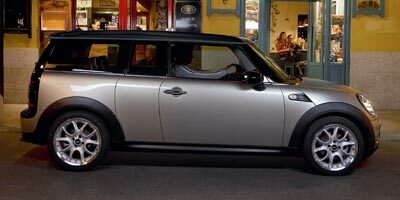 Few vehicles have as much charisma as MINI’s reincarnation of the iconic Brit compact, the Mini Cooper. Banking on driving fun and genuine practicality, the cars implement all of the features that made the original such a smashing success. Quirky, yet quite daft, the remarkably low weight vehicle comes equipped with more-than-expected power and stellar BMW quality, which combine into a great and sui generis vehicle in today's marketplace. That said, what about those drivers that need a little more room but still want the tiny nirvana that the Cooper has to offer? MINI has answered that question with their new Clubman model. With a longer wheel base, more interior room, bi-fold rear 'barn' doors and a teeny-tiny 'Clubman' side door that facilitates rear passenger access, it’s the Mini Cooper’s somewhat more responsible, yet still fun-loving sibling. We say somewhat because the Clubman is a perfect way to snub the sedan and SUV crowd lumbering to work every day. With available options like a turbocharged “Sâ€ version at $24,100, cool exterior graphic options and a massive sunroof, the MINI Cooper Clubman knows it’s more than a tool to get from A to B. The Clubman offers a useable back seat that’s easier to get into and out of thanks to the rear door. The bi-fold rear barn doors are an interesting alternative to the standard hatchback design, and the extra cargo and passenger room inside make for a more functional vehicle all the way around. The low price tag and great gas mileage is a welcome gift, too. The Clubman’s looks aren’t for everyone. The extended rear end takes away from the family resemblance somewhat and it strays from the original Cooper’s design ethos. That’s not always a bad thing, mind you, but purists may snub their noses. The added weight of the extra doors and sheet metal makes the car somewhat less tossable than is smaller counterparts as well. Also, with all the options, it can get expensive; like, really expensive. In a phrase, the Clubman drives and performs like a baby BMW, and for good reason. The Bavarian automaker is MINI’s parent company, so family quality is evident right down to the well-planted ride. The Clubman is stable and though it has lost some of its driving appeal, the car is still a heck of a lot more fun to drive than most any other car on the road. The naturally aspirated, 118 horsepower four-cylinder under the snub hood provides plenty of pep for zipping in and out of traffic. The more performance-minded may want to opt for the S version. It has 172 ponies – more than enough to crank up the giggle factor. In base trim, the Clubman comes with a 1.6-liter, naturally aspirated four-cylinder engine that puts out 118 horsepower and 114 lb-ft of torque. S trim offers up a more potent turbocharged version of the same motor with 172 horsepower and 177 lb-ft of torque. Both power plants are available with either a six-speed manual or six-speed automatic transmission that puts power to the front wheels. The auto gearbox comes with paddle shifters. Priding itself on personality, the MINI lineup is available with all kinds of nifty tricks to turn your Clubman into something unique. A dual pane panoramic sunroof can be had for $1,500 and there are several packages available to suit your needs. A sport package for $1,500 delivers hood (that’s bonnet over in England) stripes, a stiffer suspension and 17-inch alloy wheels. A $1,500 convenience package offers up everything from an auto-dimming rearview mirror to Bluetooth capability to make your life easier. Other personalized options like a contrasting roof and vehicle graphics are also available. Though the MINI brand has tried hard to sell itself as being just as bare bones as its forefathers, its BMW DNA shines through. The car can be had with remote entry, a climate controlled glove box, rain sensors and a sweet six-speaker sound system. All of those are features you would be hard pressed to find on the previous generation of Coopers. Small means fuel efficient, and that’s something that the Clubman has going for it. In standard trim, the Clubman offers 28 mpg city and a staggering 37 mpg highway. S trim has less to brag about, but still manages a great 26 city and 34 mpg highway. Inside, the Clubman carries through on its fun looks outside. A cool center-up speedometer dominates the dash, bleeding into a new take on a retro look. Top notch materials have somehow managed to find their way into such a well-priced vehicle and despite its size, the interior is comfortable. The MINI Clubman’s looks outside aren’t too different the other MINI’s in the line and even though the design hasn’t changed since the vehicle’s inception, they’re refreshing compared to everything else on the road. The rounded corners and low slung stance beg drivers to have fun and that’s something rare. The MINI Cooper Clubman is priced at $20,600 and the S version comes in at $24,100. The low price tag puts the car on the same level as compacts like the VW New Beetle at $17,475, the Honda Civic Si at $21,110 and the VW GTI MkV at $22,800, though none of those vehicles offer the kind of hauling capacity that the Clubman does. That said, there are a lot of options and those can add up really quickly. Few brands have capitalized on the retro craze as well as BMW’s MINI brand. The company has succeeded thanks to a true-to-its-roots game plan and the Clubman is the first foray into new territory. We think the vehicle manages to combine everything we love about the Cooper while incorporating new ideas that solve the smaller model’s practicality issues. Perfect for anyone suffering through the quandary of how to move decent amounts of cargo in the city, the Clubman is here to help.